Investigations into claims of employee misconduct were once reserved for the most serious and complicated allegations of wrongdoing involving a company’s senior-level employees. However, workplace investigations are becoming increasingly common in light of recent high-profile incidents, which have raised public awareness for the right of all employees to be free from workplace discrimination, harassment and violence. Ontario’s Occupational Health and Safety Act (the “Act”) as well as similar laws in other Canadian provinces, include provisions that are intended to protect employees against harassment and violence, including workplace bullying, psychological, and sexual harassment. The Act requires employers to prepare and implement a policy for investigating complaints. Section 32.0.7 of the Act also establishes a duty for employers to ensure that an investigation “appropriate in the circumstances” is conducted into incidents or complaints of workplace harassment. An employer’s failure to conduct a proper investigation can have serious consequences; Ontario’s Superior Court of Justice, Human Rights Tribunal and Labour Relations Board have all sanctioned employers for failing to properly respond to and investigate complaints of harassment and discrimination. Disotell v. Kraft Canada Inc. (“Kraft”) is a case concerning an employer’s duty to take appropriate steps to investigate claims of harassment. In Kraft the Court considered the adequacy of the employer’s investigation into complaints made by Douglas Disotell, an employee with 16 years of service. Notwithstanding Disotell’s repeated complaints that he was being harassed and bullied by his co-workers, Kraft investigated only after Disotell went on sick leave and upon receipt of a demand letter from Disotell’s lawyer. Kraft failed to interview the alleged harassers and refused Disotell’s offer to provide Kraft’s human resources personnel with further details regarding his complaint. Kraft failed to address or accommodate Disotell’s concerns and he ultimately determined that he could no longer tolerate the workplace. Instead of returning to work, Disotell sued Kraft for constructive dismissal on the basis of harassment. After reviewing Kraft’s investigative process, the Court determined that Kraft breached its duty to provide Disotell with a harassment-free workplace. Disotell was awarded damages equivalent to one year’s salary and legal costs of $50,000. In reaching its decision, the Court found that Kraft had clearly invested time and effort to create and disseminate its zero-tolerance harassment policy, but that the policy was not being properly administered. An employee may also claim wrongful dismissal if he or she is terminated based upon the findings of an investigation or where the employer imposes undesired changes to the employee’s job as a result of its investigative findings. In Roe v. Schneider National Carriers, Inc. (“Schneider”) Schneider received allegations that its employee, Ms. Roe, had sexually harassed two of her colleagues. As part of the workplace investigation, Schneider’s representatives arranged to meet with Roe, but they did not advise her of the purpose of the meeting. During the meeting, Roe was not provided with any specifics of the allegations of misconduct or the identities of the complainants. Instead, she was asked general questions about topics related to the complaints, such as whether she had ever made sexually suggestive or offensive remarks in the workplace. At the same meeting, Schneider terminated Roe’s employment for creating a hostile work environment. Roe sued. After a four-day trial, the Court determined that Schneider’s workplace investigation was deficient because Roe was not given sufficient particulars to enable her to respond appropriately to the allegations. Although the trial judge found Roe engaged in distasteful behaviour, it did not warrant termination of her employment, and Roe was awarded damages equivalent to three months’ pay. The investigation should be completed as soon as possible with regard to the complexity and seriousness of the allegations and the number and availability of witnesses. Delay may cause disruption in the workplace and may also adversely affect the health of the parties. Evidence may get lost or forgotten with the passage of time. If video, audio, or other physical evidence is available, it should be preserved immediately. The appointed investigator should not be involved in the incident and should not have any personal or other connection to the complainant or alleged harasser. The investigator must ensure that the process is fair to all parties and that each has an opportunity to state their case. The investigator should also be knowledgeable of the law and understand the requirements of due process. In certain situations, it may be appropriate to engage the services of an external investigator, such as an employment lawyer or a retired judge. Everyone involved must respect the sensitivity and confidentiality of the investigative process. Confidentiality is critical in order to protect privacy and reputational interests. Information about the incident(s), including information about the people involved, should not be disclosed unless the disclosure is necessary to protect employees or is needed to investigate, take corrective action, or is otherwise required by law. The objective of any workplace investigation should be to review and determine whether a complaint can be substantiated. All complaints should be taken seriously. Reasonable efforts should be made to interview the parties and anyone who might have relevant information. Proper documentation is essential to ensure that evidence is accurate and sufficient facts are available to support the investigative findings. Employers who are required to investigate incidents of workplace harassment and employees who find themselves the subject of such an investigation should seek legal advice at an early stage. An employment lawyer can review, consider and assess the specific circumstances and clarify the legal rights and obligations of all participants. As noted in Kraft and Schneider, the consequence of conducting an inadequate workplace investigation can be both expensive and embarrassing for everyone involved. 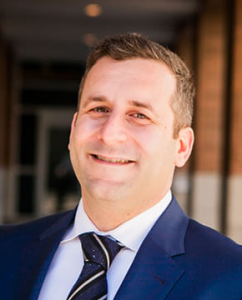 Joe Figliomeni is a commercial litigation lawyer at Lawrences Lawyers, Brampton, Ont.